With the holidays fast approaching, there are lots of new and exciting winter activities taking place all across Muskoka. From annual Christmas shows to the Santa Clause Parade there is plenty to take advantage of and something fun for all ages, families, and couples! Whether you celebrate the holidays or not, Muskoka offers plenty of events to bring you closer to your community! Here are 5 fun events to check out in Muskoka this month and next! 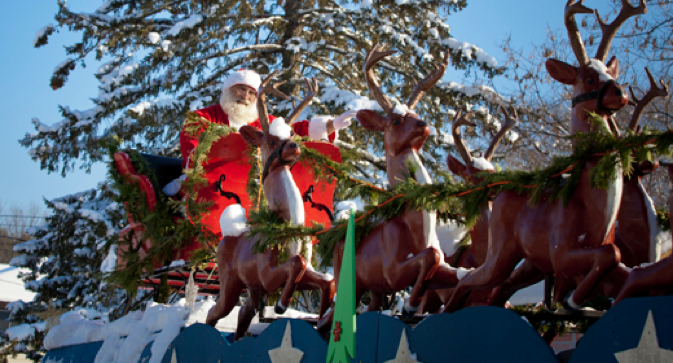 On Friday, November 30, Hunstville’s annual Santa Claus Parade will take place at 7 pm. One of the only local parades to run in the evening, allowing spectators to enjoy an illuminated parade, this is one event you won’t want to miss! So dress warm, grab your friends and family and don’t miss this amazing holiday event! On Sunday, November 25 from 4:00 PM – 6:00 PM bring your friends and family to the annual tree lighting ceremony at the Port Sydney Community Hall! This family-fun event is all about creativity! Try your decorating skills at the cookie decorating station, chime in on caroling with live music and don’t forget about your chance to get a selfie with Santa! 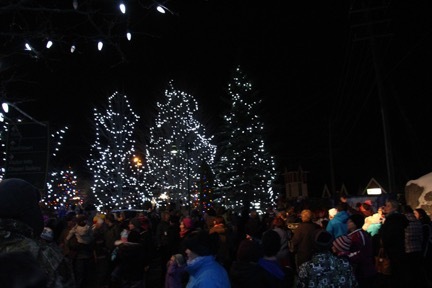 On November 30th experience Muskoka’s Festival of Lights in downtown Bracebridge. With plenty of fun for the whole family, enjoy wagon rides, campfires, and living window display courtesy of Bracebridge School of Ballet! This is one community event not to be missed! 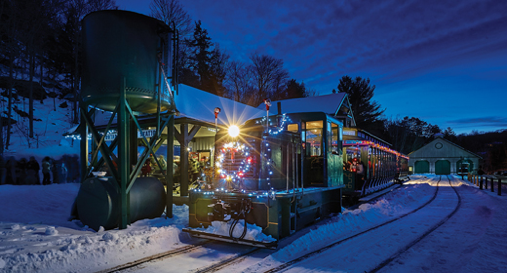 On Saturday, December, 22nd head over to Muskoka Heritage Place, Train Station and don’t miss your chance to be surrounded by great holiday spirit! This magical, open-aired coach train takes you along the Muskoka River on a 1km track to Fairy Lake. 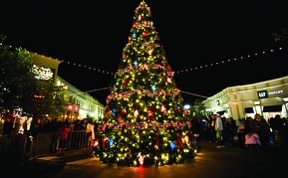 Once you have arrived at your destination you will be welcomed by a festival of lights and of course Santa! Dress warm and don’t be afraid to join in on a Christmas carol or two! Be sure not to miss this year’s Torch Light Parade at the Hidden Valley Highlands. 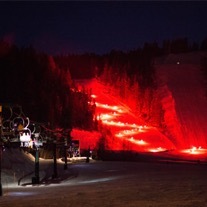 On December 24th watch Santa ski down, the hill in a beautiful progression of lights in this family-fun event. Be welcomed by Santa back at the chalet and don’t forget about the cookies and bottomless hot chocolate! Follow our Facebook page for more “Winter in Muskoka” good times!